Kanyakumari also known as Kanniyakumari (earlier known as Cape Comorin), is a town in Tamil Nadu state and is the southernmost tip of peninsular India. I think that every able Indian should visit this place once in a lifetime – not just to see the attractions, but perhaps simply to see the southern most tip of our Nation. 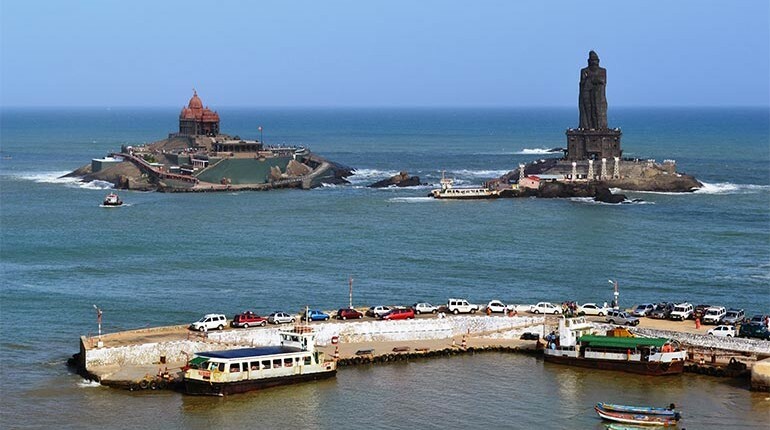 The name Kanyakumari comes from the temple, Devi Kanya Kumari Temple in the region. The nearest town is Nagercoil which is 22 km away and is the district headquarters. The nearest airport is Thiruvananthapuram / Trivandrum Airport (TRV), 90 km from Kanyakumari and takes about 2 hours 35 minutes to reach by car / taxi – based on my experience, add 30 to 40 minutes more for the terrible traffic. Trivandrum has flights from New Delhi, Mumbai, Bangalore and Chennai besides some Gulf airports. The other airports are Madurai (IXM) which is 241 kms and three and a half hours away and Kochi / Cochin (COK) which is 330 kms – seven and a half hours away. Kochi airport has more flights than Madurai does. Nearest railway station is Kanniyakumari (code: CAPE) – note the ‘i’ in the name. There are direct trains from Jammu (via New Delhi), Mumbai, Bangalore, and Dibrugarh (via NJP). Or another nearest railway station you can get to is Nagercoil, which is 22 kms from Kanyakumari. There are a lot of Tamil Nadu and Kerala State Road Transport buses (cheap fares) as well as private bus operators from most cities in South India. If you are driving in your car or by a cab, the best way is to come via Madurai-Tirunelveli, unless of course you are taking either the Rameswaram (East Coast Road) or Kerala coastal routes. The Madurai – Tirunelveli road is well maintained and is best for those driving from Bangalore, Pune, Chennai etc. At the time of writing this post, there were no 5 or 4 Star hotels at Kanyakumari. There are about five-six 3-Star hotels and the rest are below. So, if you are not to keen on the sunrise / sunset thing and just want to visit the attractions in a day, the nearest 5-Star (or 4-Star) hotels are at Kovalam beach (85 kms and 2 hours away) or at Trivandrum (95 kms and 2.5 hours away). 3-4 of the 3-Star hotels have good views of the Laccadive Sea and the Vivekananda Rock Memorial. You can check from hotel comparison sites. Vivekananda Rock Memorial. The memorial stands on one of two rocks located about 500 meters off mainland. Towards the end of 1892, Swami Vivekanada came to Kanyakumari. He swam across to the holy rock in mid-sea and meditated for three days after which he attained enlightenment. Hence, this memorial was built in 1970 in his honour by Eknath Ranade, an RSS Pracharak. A meditation hall (Dhyana Mandapam) is also attached to the memorial for visitors to meditate. The memorial consists of two main structures, the Vivekananda Mandapam (houses a statue of Vivekananda) and the Shripada Mandapam. To get to this rock, one has to take a ferry boat service run by Poompuhar Shipping Corporation, a Tamil Nadu State Govt department. The ferry tickets cost just Rs 34. Although the journey time is just 8-10 minutes, the long queue to the ticket window and then to the boarding gates mean anything between 45 minutes to 1 hour of waiting. 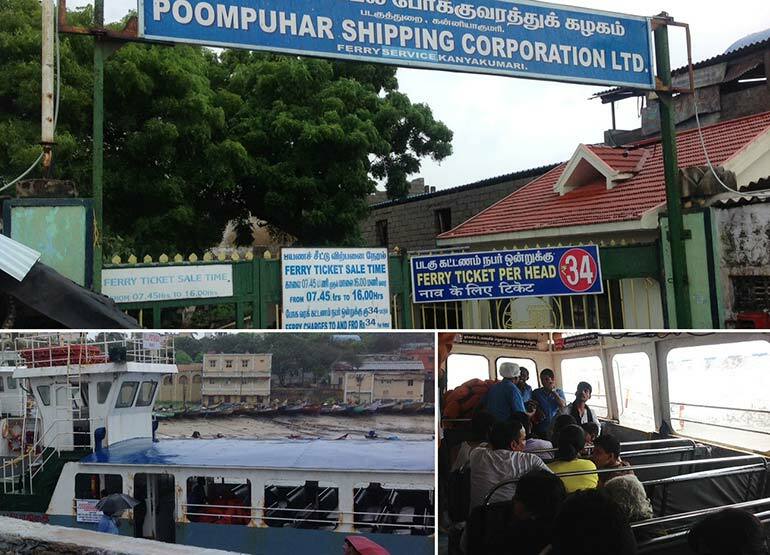 For those unwilling to wait in the lines (heat and stink in the waiting hall), premium ticket costs Rs 169; you simply jump the queue and board the ferry directly! The ferry service ticket counter closes at 4 pm. At the rock, you will have to purchase tickets at Rs 20 per head to visit the memorial. You will not be allowed to take photography / videography inside the mandapams. Tips: Since you need to remove footwear before entering the memorial, it is advisable to wear footwear that are easy to remove / put on e.g. sandals / flip-flops / slipons. Moreover, if it is raining, umbrellas are of little help because of the high winds – get raincoats or ponchos and something to protect your expensive cameras, phones etc. Thiruvalluvar Statue. The Thiruvalluvar Statue is a 133 feet (40.6 m) tall stone sculpture of the Tamil poet and philosopher Tiruvalluvar. The statue was opened to public in January 2000. It is located on another rock / island near the Vivekananda Rock. The same ferry service takes one to this statue. Many times the ferry doesn’t ply due to reasons like low tide etc – you may like to check on this. Gandhi Memorial. The Gandhi Memorial has been built on the spot where the urn containing the ashes of Mahatma Gandhi was kept for public viewing before immersion. The memorial design is such that 2nd October (Gandhiji’s birth anniversary), the first rays of the sun fall on the exact place where his ashes were kept. 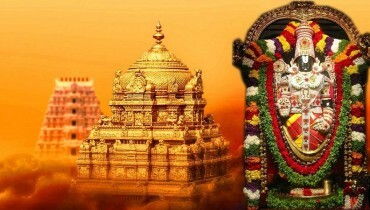 Kumari Amman (Kanyakumari) or Bhagavathy Amman Temple. The 3000 year old Kumari Amman temple at this place is dedicated to Virgin Goddess Kanyakumari and is regarded as a Shakti peetha meaning peetha (abode) of Shakti, due to the falling of body parts of the corpse of Sati Devi, when Lord Shiva carried it in sorrow. There are 51 Shakti Peeth linking to the 51 alphabets in Sanskrit. Kanyakumari Muttom Beach. A small beach which is dirty and crowded with tourists and vendors peddling all kinds of stuff. Eating stalls are often unhygienic and best ignored. You can get shells as well as some antiques at this place, although some antiques were too expensive as compared with other places. I hope this post covers almost everything you need in short time to plan your trip to Kanyakumari.